Discover the new Mizuno Wave Lightning Z, created to give you the confidence and flexibility to play like the elite athlete that you are. With its wave construction cushioning, you get stability, support, and comfort all from one pair of lightweight, yet powerful sports shoes. The specially designed Dynamation flex grooves help you perform with agility and perfect balance, and provides a firm grip on the court. The Lightning Z is true to size, which makes it quite easy to purchase online—no guessing game here. Whatever size you wear in your other sports shoes is most likely going to be your perfect fit. And once you get the perfect size, you get shoes that fit snugly from heel to toe. The Wave Lightning Z fits perfectly and comfortably, which allows for better performance when playing sports. 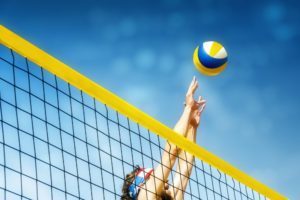 Be it volleyball, basketball, or any sport that requires you to jump, dive, and shift your weight, this will certainly keep up with every move with agility, without having to compromise the luxury of the cushioning. Because of its wave-constructed soles, it effectively reduces shock on your ankles and knees, as it evenly distributes this shock at the moment of impact. 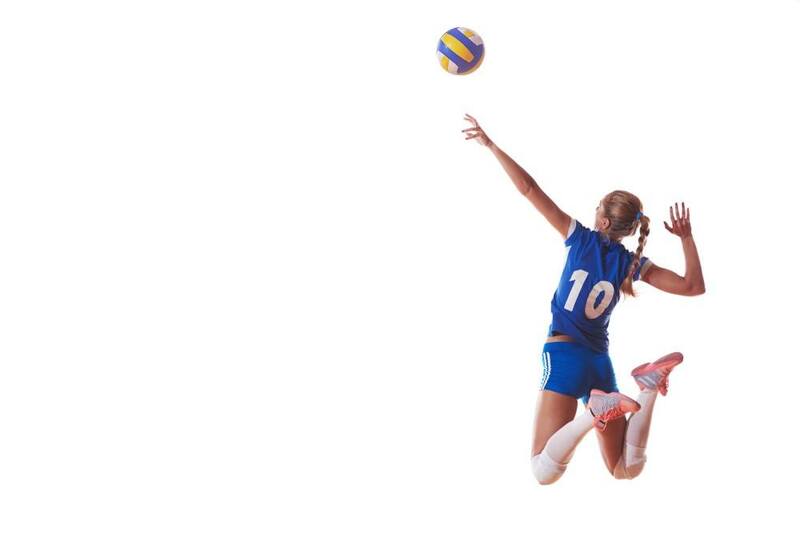 There will be no pain or soreness to your feet or limbs after your game. In addition to the rubber doing well with shock absorption and distribution, it also provides a firm grip on indoor court surfaces. You don’t have to worry about slipping and sliding while in the midst of hitting that ball, thanks to the XG rubber it boasts of. It is also lightweight enough that it will not hold you back during jumping and running. It moves with you just as if you are not wearing anything, yet you get the support you need for your rough activities. These are durable court shoes that will last you all day without causing soreness. No problems even after hours and hours of play and movement. 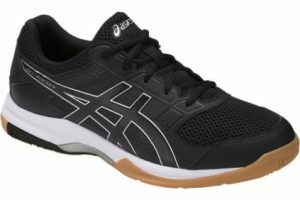 Even though this is labeled as a women’s volleyball shoe, the unisex design and colors make it suitable for both females and males. Simple yet attractive. You can easily insert your own insoles if your arches are a special case (e.g. flat feet or extra high arches). You can also remove the Lightning Z’s insoles with no problems if need be. The Wave Lightning Z takes a bit more time to break in when compared to other volleyball shoes. A number of reviewers have commented that they are still in their break-in period, and have gotten blisters on their heels from these shoes. A user complained of the heels of the shoes having pretty sharp corners that could accidentally scratch on the inner part of the ankle of the opposite foot. 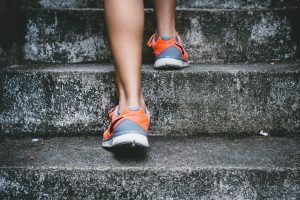 If you have sensitive skin that is easily wounded, you might want to look for other court shoes. 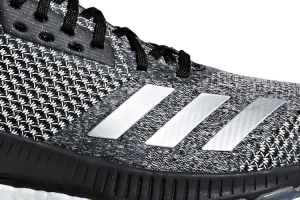 These shoes run on the narrow side, so wide-footed buyers might not be pleased with this fact. However, if you are someone who has narrow feet and want a pair of sports shoes that will fit snugly, this is going to be perfect for you. The Mizuno Wave Lightning Z Volleyball Shoes cost a little bit more than other volleyball shoes on the market that perform almost the same, but if you want something that is going to last you a long time, this is a good investment. The Mizuno Women’s Wave Lightning Z2 offers almost the same features and benefits as the first Lightning Z, but has extra grade rubber for even better traction on floor surfaces. This pair has Dynamotion fit technology that relieves the feet of the stress that you naturally get from hours of activity; this is the reason the Lightning Z2 costs even more than the Lightning Z. It also comes in more colors compared with the black/silver color scheme that the Lightning Z comes in. If you are content with the comfort and the colors offered by the Lightning Z, there is no need to go for the Lightning Z2 instead. Another pair of Mizuno sports shoes worth mentioning is the Women’s Wave Lightning RX3. With a shaft that measures 2.25″ from the arch, you get good cushioning and shock absorption. It costs much less than both the Lightning Zs, so you might want to take a look into this if you are on a budget. 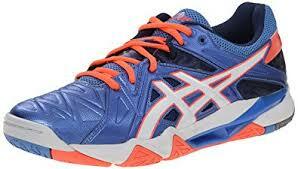 But for more bang for your buck, consider going for the Wave Lightning Z Volleyball Shoes.